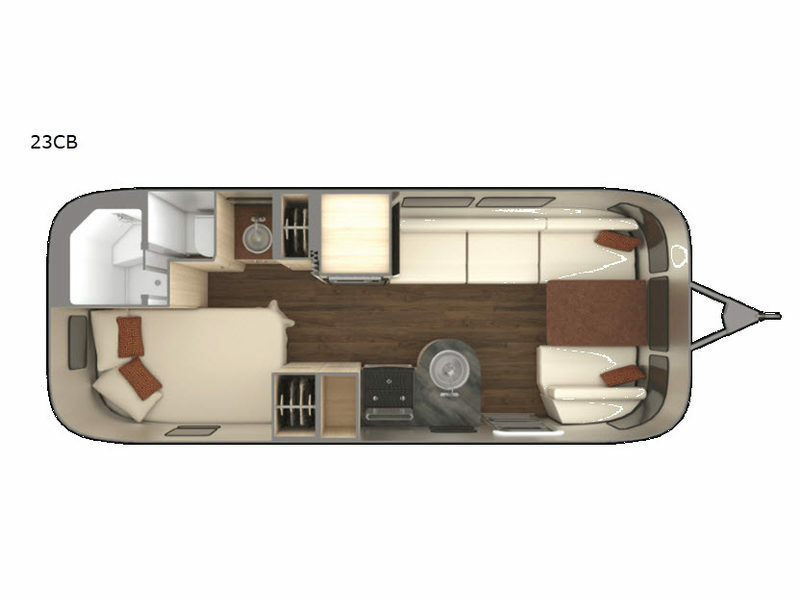 This International Serenity travel trailer is a top-of-the-line unit that will not only meet all of your expectations but will also far exceed them. In this trailer you will find your very own personal sanctuary that has panoramic windows for illuminating the space during the day and blackout curtains that allow you to retain your privacy at night. One night of rest on the pillowtop memory foam mattress will be all you need to feel refreshed and ready to go for the adventures ahead, and the backlit storage lockers throughout this unit will make it easy to find all of the items you have stored for your trip. One of the best things about the International Serenity travel trailer is the amount of technology that has been included. From the Samsung LED HDTVs with surround sound and Blu-Ray™ DVD player, to the USB and 110V outlets located throughout, you will always be able to kick back and relax with your favorite modern devices no matter where you go, and even if the climate is unbearable wherever you've decided to travel, the inside of your International Serenity won't be with the help of the Quietstream™ ducted climate control system that quickly cools the cabin at a low noise level. If you find yourself needing a little more air, the Fantastic© Fan with a built-in thermostat and automatic rain sensor will be just the feature you turn to with its ability to open and close automatically when rain begins to fall.